I wonder at times what art should be. Many artists use art to make a statement. Others push the boundaries of society’s understanding saying they are just declaiming what society is becoming. I, myself, find these arguments belittling of art itself. Almost everything can be and is considered art today. Much of what is is not worthy of the title. But enough. I want to talk about majesty as presented by artists in paintings. 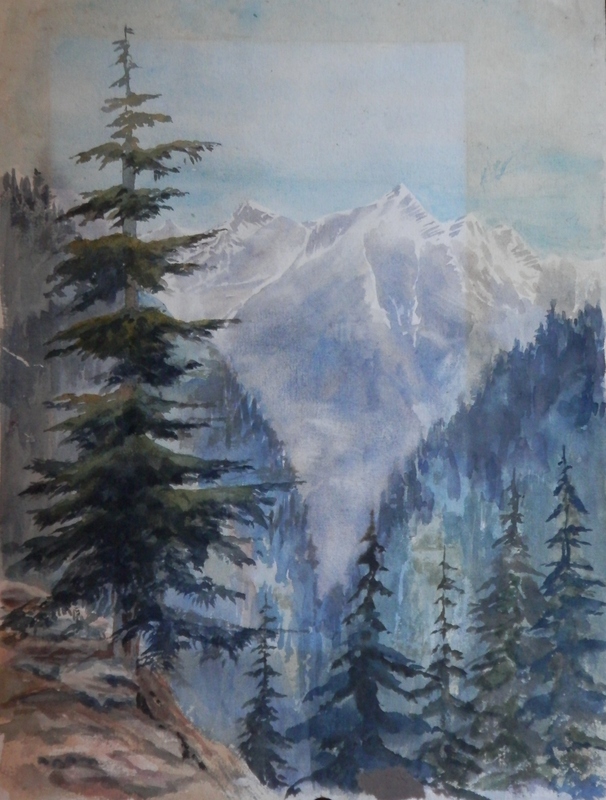 A watercolour by an unknown artist of the Alps (possibly – #Eiger,Moench,andJungfrau-obscured by tree branch). Majesty beyond words. Beauty reaching towards the sky. Part of this picture was hidden behind the matt as can be seen from the lighter coloured rectangular section. This artist has an eye for the reality of what he sees, a respect for his subject. The beauty portrayed is intertwined with the danger which lies just a step ahead. Stand in awe and be amazed at what we see around us. Give it it’s due respect and honour for we did not create this – only an image of it. Next to something which man did build. The dual towers of the mighty #YorkMinster as seen from the River Ouse. A watercolour, possibly by George Fall done around 1900, displays the dignity and power of this cathedral. A cathedral rising up from the earth pointing heavenward. These towers have seen history come and go. Mighty men, warriors, intellectuals, politicians, theologians have appeared and disappeared. Few leaving a mark such as this. Renowned for it’s stained glass windows and it’s stature in the church hierarchy. Impressive as it is, it would have been truly a sight to behold when the central tower had it’s spire. And from land to sea. What can be more powerful than the sea at full crest and gale. 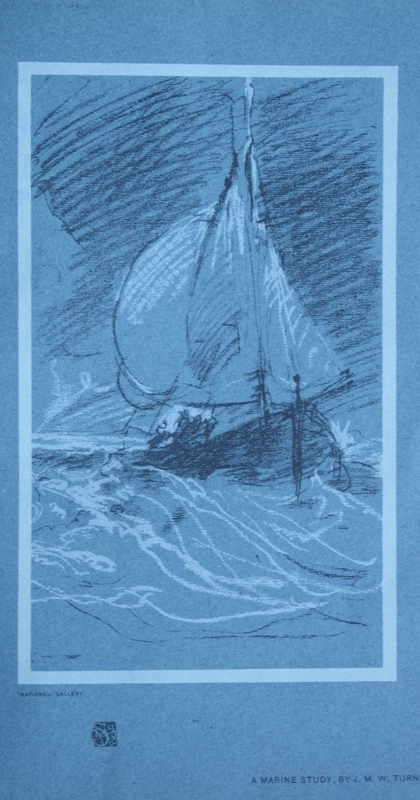 A ship with sails billowing running before the wind and storm. By #JMWTurner. ‘A Marine Study’ which shows Turner’s technique as well as his wonderful skill at catching and portraying the atmosphere of what he sees. With a few deft lines, he captures the sea’s strength and power and the fragility of the ship as it struggles against the storm. 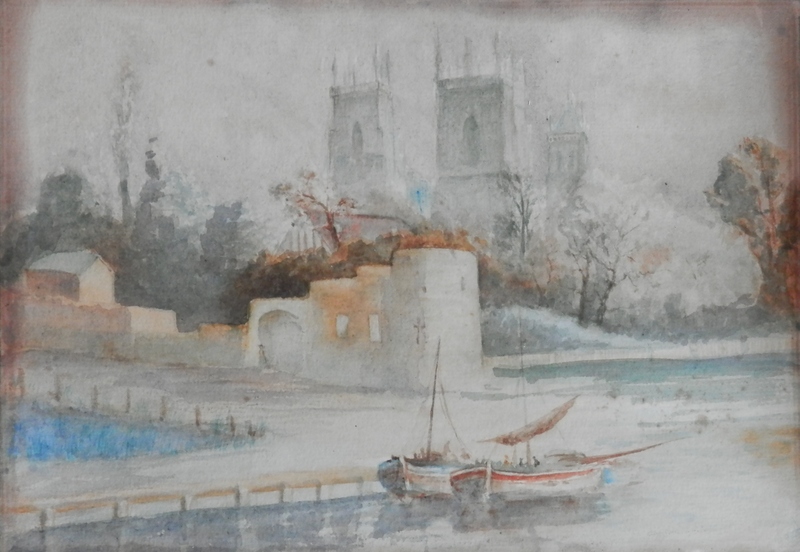 This entry was posted in Modern prints, Watercolour paintings and tagged Apls, Eiger, forest, JMW Turner, Jungfrau, Moench, pine tree, River Ouse, sailing ship, sea, storm, storm clouds, towers, waves, York Minster. Bookmark the permalink.